[London: May 2017]: Today Wardian London announces its collaboration with Tregothnan Estate for a botanical tea-inspired showcase at RHS Chelsea Flower show. The showcase is open to the public between 23rd and 27th May 2017 at stand no. RHW293 and will offer visitors an immersive botanical experience. The display seeks to bring together the shared heritage of Wardian London and Tregothnan Estate, for which the Wardian glass case, a device used for transporting exotic plants around the world, plays an important role. In tribute to this botanical innovation, the stand will utilise many of the plants traditionally transported in such cases and which will feature widely in Wardian London’s exclusive ‘sky gardens’, as well as at Tregothnan’s tea plantation in Cornwall. 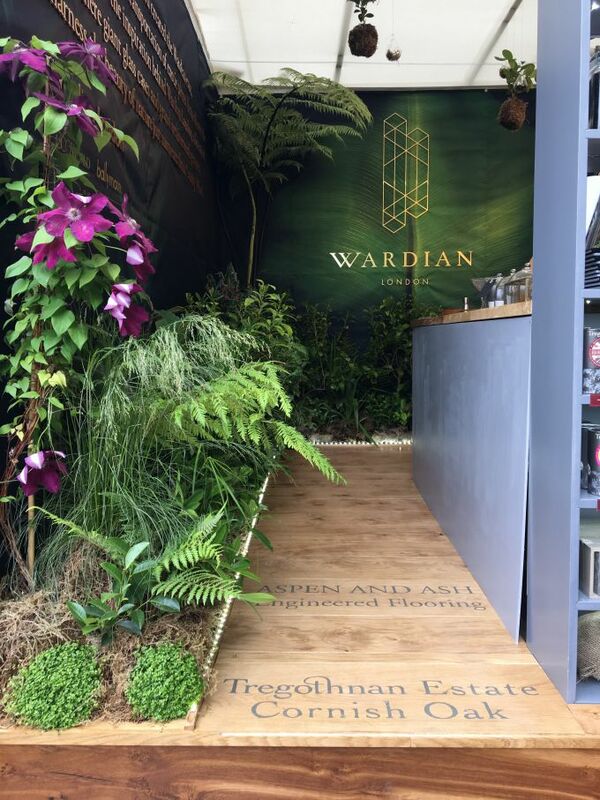 RHS Chelsea Flower Show is the ideal setting to showcase Wardian London and Tregothnan’s shared vision, with the aim of the display to create a microcosm of the innovative Wardian London living experience which blurs the boundaries between urban luxury and the great outdoors. The display will feature ferns, succulents and exotic plants synonymous with the Wardian balconies, as well as iconic Camellia tea plants, a signature of the Tregothnan estates. This latest collaboration between Wardian London and Tregothnan follows a partnership in 2016 which involved the creation of a bespoke Wardian tea blend and a series of afternoon teas hosted at the Wardian marketing suite in Canary Wharf. Guests to visit the stand at Chelsea this year will be able to purchase samples of the Wardian blend and will be invited to attend an exclusive Kokedama making workshop, hosted in the Wardian marketing suite, where the tea will be served alongside cakes by Lily Vanilli. With panoramic views of Canary Wharf and the City, Wardian London is a botanically-inspired East London development. The scheme aims to facilitate outside-in living, connecting residents with innovative green spaces throughout the development. It takes inspiration from the Wardian glass case, the 19th Century creation of Dr Nathaniel Bagshaw Ward which facilitated the transportation of tea plants and the subsequent transformation of London’s Docklands into the commercial hub we know today. Just as Ward’s cases protected exotic plants from treacherous sea-voyages, the development’s luxury suites, apartments and penthouses provide an oasis of calm for buyers looking to create their very own botanical living space.